We most likely don't know all the Pools in Haiti. Are you missing any? Contact us!. 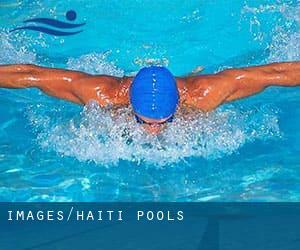 Regular users from the following Haiti Pools told us probably the most vital thing about swimming is to control your breathing. Occasionally this is not possible for the reason that we raise the neck to breathe and also the body is not aligned. To avoid this, our head really should be aligned with our spine all the time. Not all countries are the exact same, and swimming rules and regulations are changing from one country to the other. So, if this is your initial time looking for Haiti Pools, be sure you call the premises just before you drop by. Traveling to Haiti? This can be the perfect spot on the internet to find places to swim in Haiti. Each day you might be not swimming you're losing precious time in improving your skills to be a greater swimmer! No much more excuses! Find your nearest Haiti Swimming Pool and tell us how it went. Are you a regular swimmer? Have you ever practiced Aquagym in Haiti? Let us know!. Swimia.com has the most up-to-date database on the net about virtually any Haiti Swimming Pool. Classified by countries, regions and cities, it is uncomplicated to find the nearest pool at the places you visit. For Haiti, you are able to have a look at the pools we have gathered for you. One in the advantages of outdoor swimming in Haiti may be the possibility to sunbathe during the summer season. Taking it with extra care, sunbathing is healthy since introduces Vitamin D into the body, so the very best option seems to be switching amongst indoor and outdoor pools depending on the season. Whereas Jacmel is one of the six most populous cities in Haiti with nearly 137.966 residents, you shouldn't miss that one if you're going to Haiti. Swimming is a outstanding idea to keep your body active during your visit to Port-au-Prince (Haiti), or even in case you are a local. Swimia assists you to locate your closest Swimming Pool in Port-au-Prince. Without a shadow of a doubt, swimming in Pétionville is the perfect approach to unwind after work. Take a couple of minutes to browse Swimia's catalog to find a Swimming Pool in Pétionville. Holding an estimated population of 382.920, Delmas 73 is among the most important cities in Haiti. Check all of the Swimming Pool in Delmas 73 and its surrounding area. Rue Franck Cardozo , Port au Prince (Postal Code: 6119). Among all the activities offered by the center, if you are interested in swimming you are going to appreciate ~17 yards, Outdoors. If it is advisable to make contact with this Swimming Pool, email address and phone number are both number.